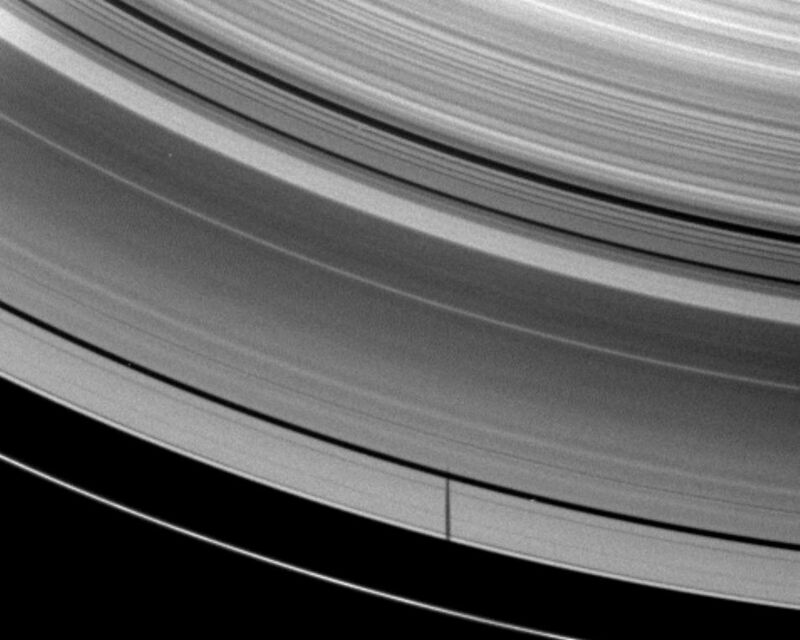 The moon Janus casts a shadow on Saturn's A ring but misses the thin F ring in this image captured as the planet approached its August 2009 equinox. The moon itself is not pictured, and the shadow has missed the thin F ring because the moon has inclined orbit. See PIA11543 for a similar image of Pandora's shadow. 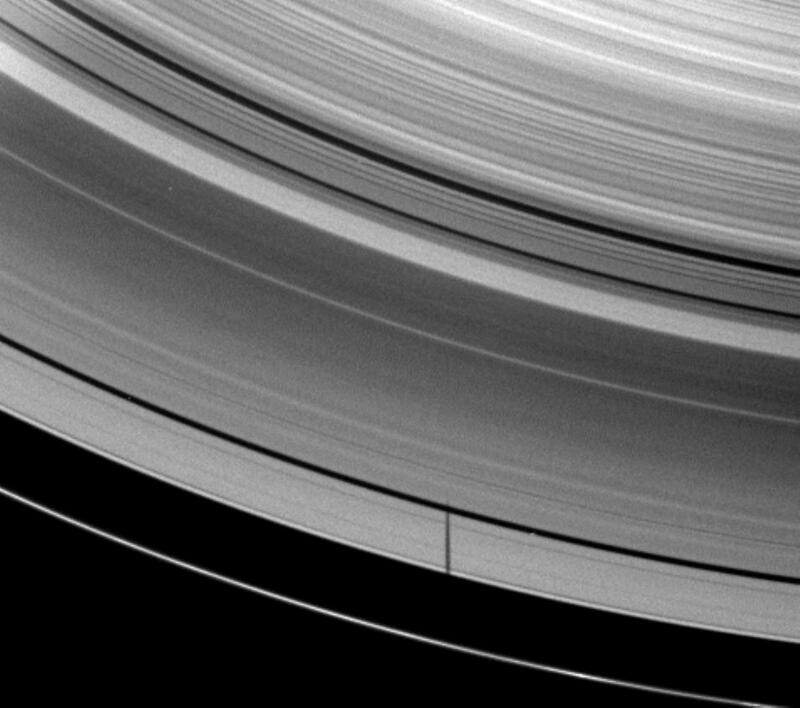 Janus' shadow here reaches past the Encke Gap of the A ring. 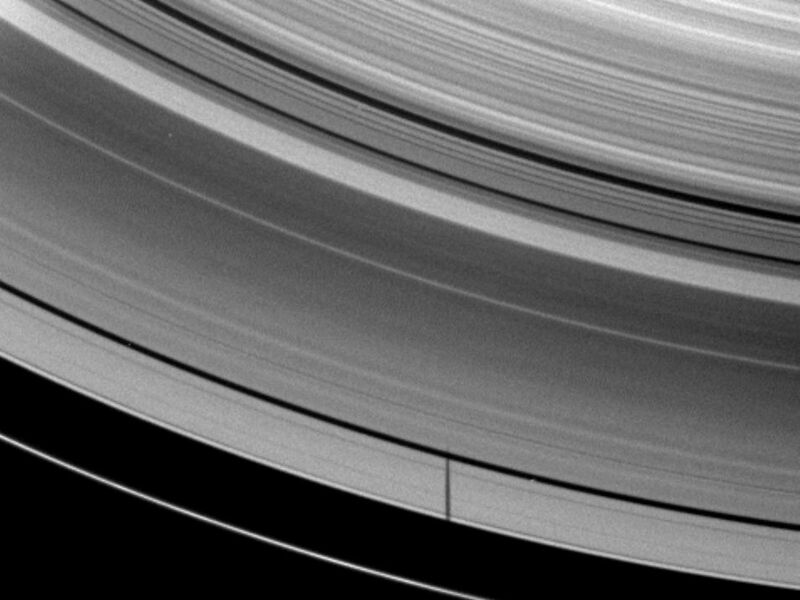 The Cassini Division runs from the middle right to the top left of the image. The image has been cropped and zoomed-in by a factor of two. 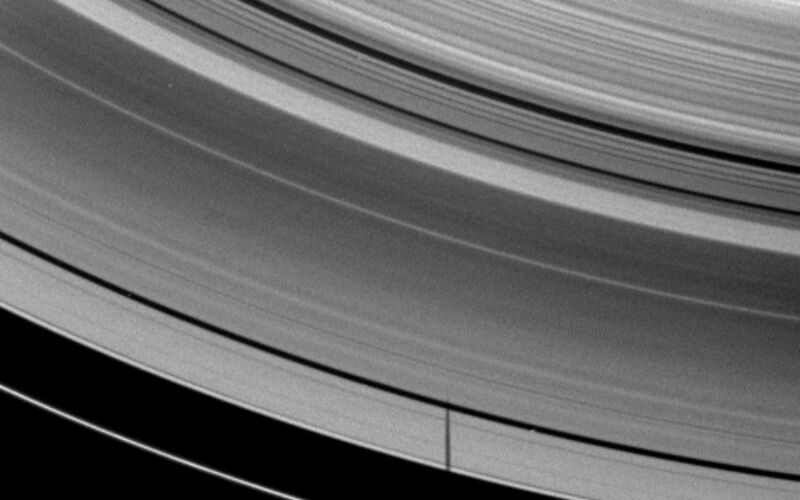 This view looks toward the northern, unilluminated side of the rings from about 52 degrees above the ringplane. The image was taken in visible red light with the Cassini spacecraft wide-angle camera on May 28, 2009. The view was acquired at a distance of approximately 1.3 million kilometers (808,000 miles) from Saturn and at a Sun-Saturn-spacecraft, or phase, angle of 53 degrees. Image scale is 77 kilometers (48 miles) per pixel.